Sundays are meal prep days at our house. I usually plan out our meals and go grocery shopping for the week. Then we make as much food as we can for the week to make things easier. This past Sunday I was craving macaroni and cheese. You just can’t go wrong with a big pot of comfort food. I found a super easy recipe for One Pot Chicken Alfredo Mac and Cheese that sounded delicious and I knew I had to try it. 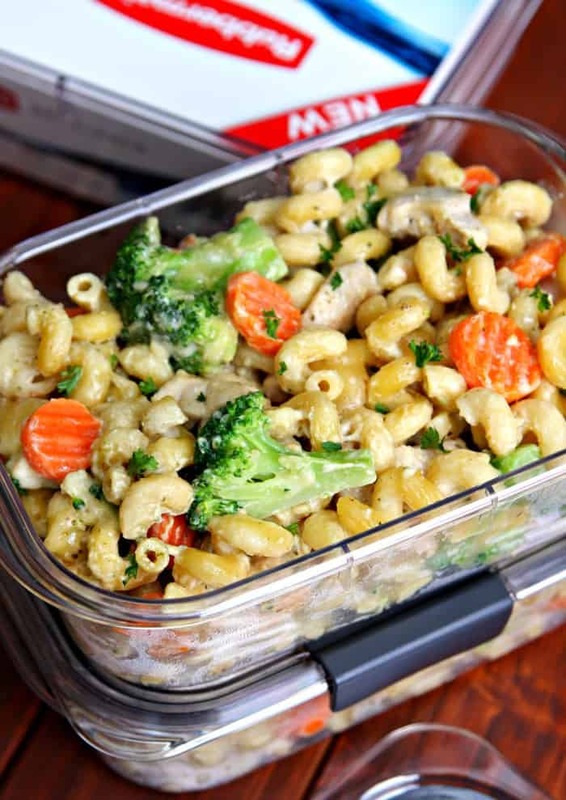 Then I loaded it with lots of veggies to make it the best one pot mac and cheese meal EVER! I don’t know about you but you can’t go wrong with any recipe that includes cheese and pasta. And the fact that this is a one pot meal just makes it so much better. I’ve been adding one pot meals to our weekly meal plan on a regular basis because they are so quick and easy. I also love that clean up is a breeze when it comes to one pot meals. 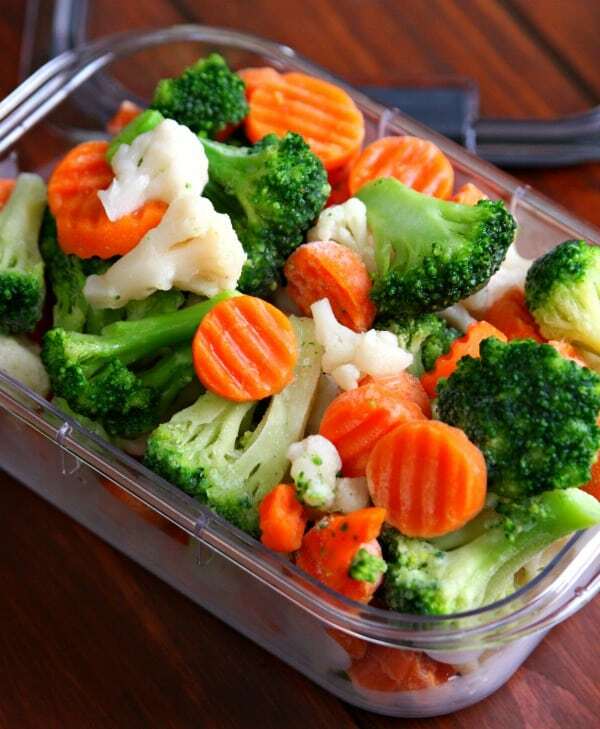 Look at all those veggies. 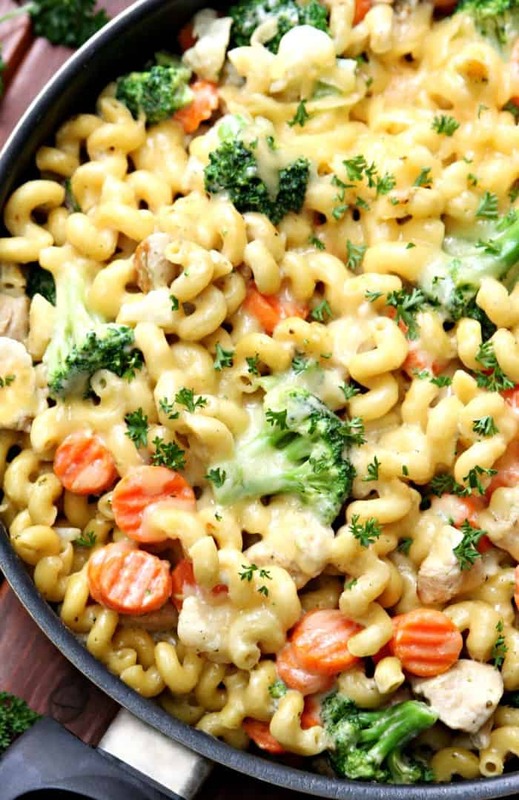 Cheese, pasta, and veggies = yum! There is one ingredient that makes this recipe better than a regular mac and cheese recipe. 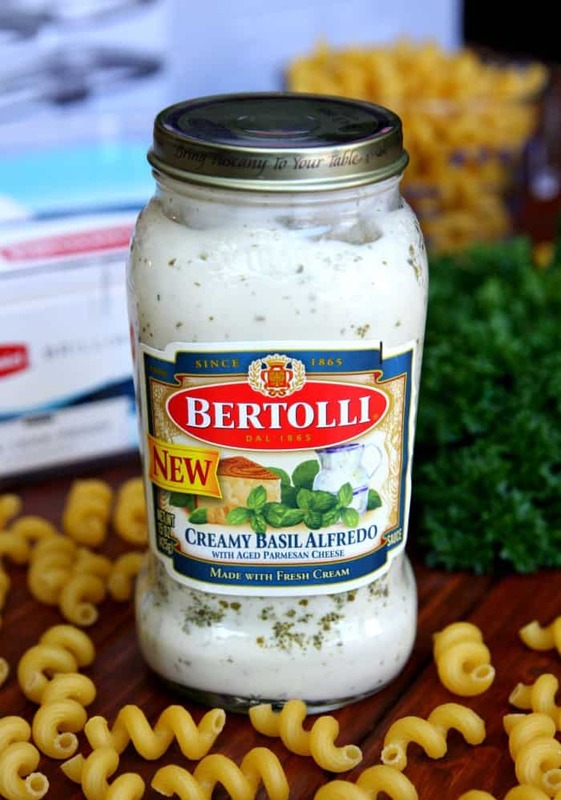 My secret ingredient is this new Creamy Basil Alfredo by Bertolli®. They had me at creamy and basil! 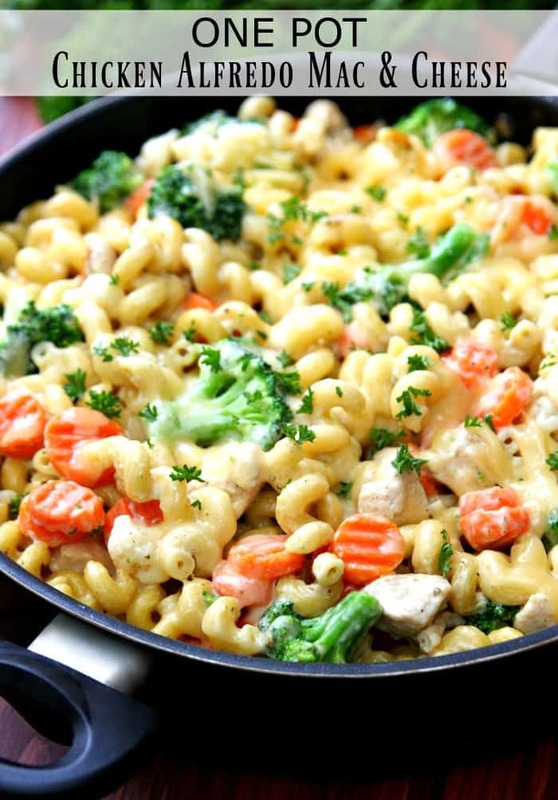 This One Pot Chicken Alfredo Mac and Cheese is a perfect make ahead meal for a few reasons. It comes together in less than 30 minutes so it’s a quick meal. 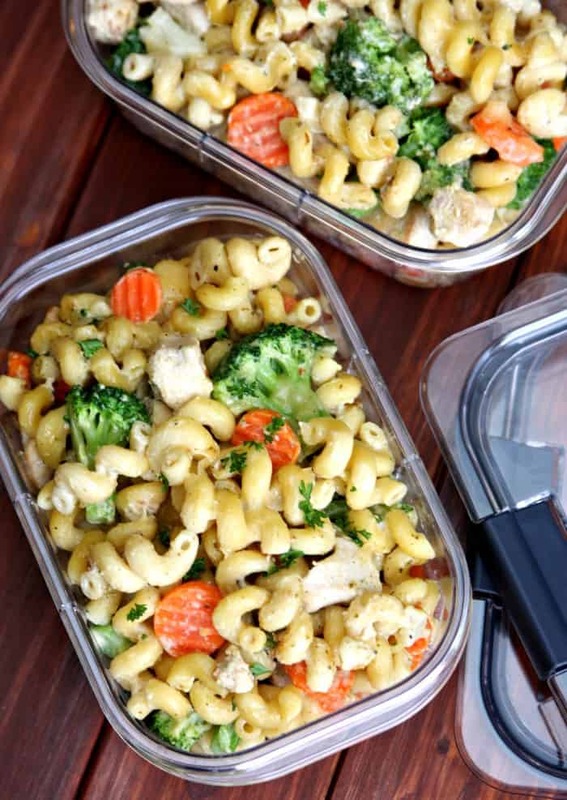 It also makes a lot so you can freeze it or store leftovers in the refrigerator for lunches. I made it on Sunday and stored it in these new Rubbermaid® Brilliance™ food storage containers I found at Walmart. These bad boys are 100% leak-proof guaranteed, microwave safe, and splatter-proof. They’re also stackable to keep food storage organized and neatly placed in your refrigerator. Plus, they’re crystal clear and stain resistant so you can always see what’s inside. Rubbermaid® Brilliance’s™ food storage containers are designed to make our live’s easier, which means we can trust them to keep up with our everyday demands. Looking for more easy meals to make? Check out more delicious recipes HERE and get inspired for your weekly meal plan with #PremiumPrep! 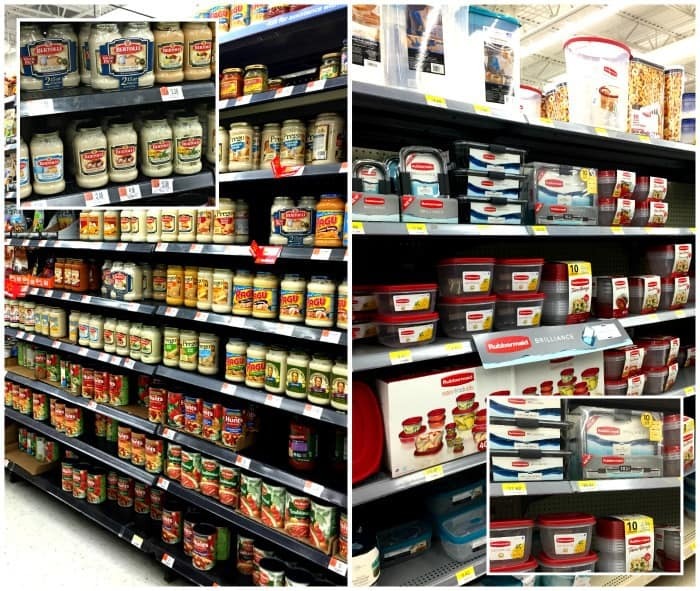 $0.75 off any Bertolli pasta sauce variety at Walmart. $2.00 off a single Rubbermaid Brilliance container at Walmart. $5.00 off the Rubbermaid Brilliance 10 piece set at Walmart. Gotta love saving money on your favorite products! Heat oil and chicken in large skillet over medium heat. Season chicken with salt and pepper to taste. Cook chicken until browned, about 5 minutes. Add Alfredo sauce, water, uncooked pasta, Italian seasoning, and salt and pepper to taste. Stir to combine all ingredients. Bring mixture to a boil. Reduce heat and cover. Cook for 10 minutes. Stir pasta and add 1/2 cup cheese. Cook for an addition 5 minutes or until pasta is tender. 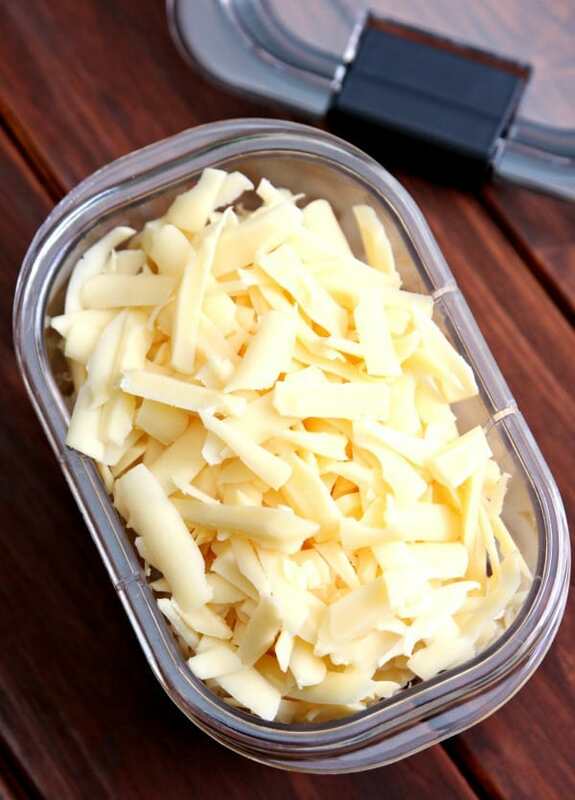 Sprinkle remaining cheese over pasta. Cover and cook on low heat for 3-5 minutes. What a yummy recipe. I love those storage containers too! This looks like a great spring meal. Looks delicious! 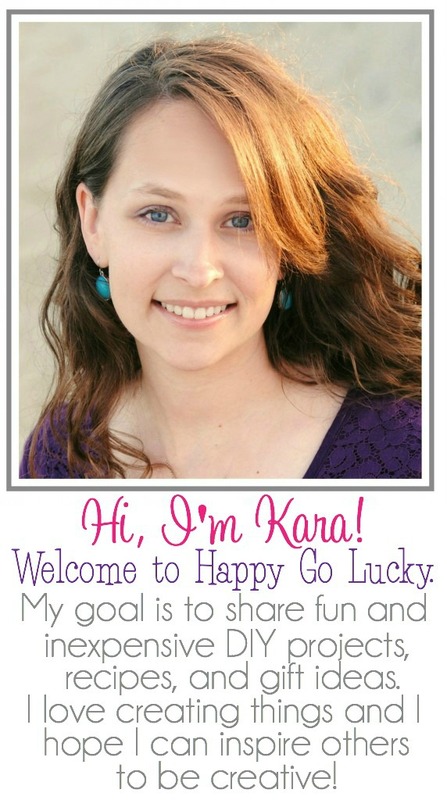 Thank you for sharing at Link It Up Wednesday! What a scrumptious recipe! So glad you shared with us at Merry Monday.